The Billy Barker Casino originally opened in January 1987. 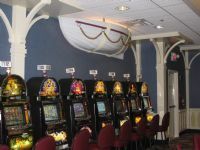 This was one of the first charity casinos in the province. Renovations and expansions started in the summer of 1999. The exterior was remodeled to resemble a Paddlewheel ship. 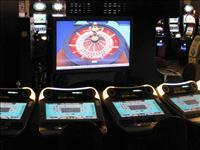 Billy Barker Casino Hotel offers electronic table games only. Texas Holdem tournaments start at 1:30pm and are held only on Sundays. Texas Holdem tournaments start at 1:30pm and are held only on Sundays. Friday & Saturday 10am to 12:30am.